A chart is a graphical representation used to display a certain piece of records or information; it makes the report more understandable. 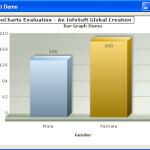 Visual Basic is capable of inserting a chart component that allows the programmer to embed graphical reports in a form of chart or graph (bar, line, pie, etc.). 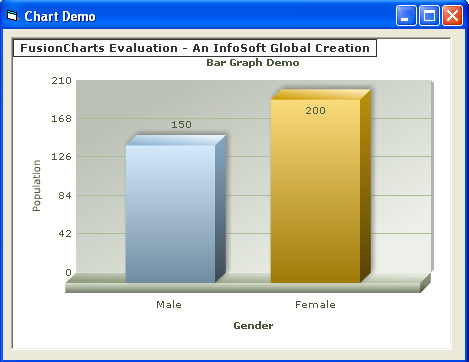 In this tutorial, we are going to use a 3rd party extension for chart component and that utility is Fusion Chart for Visual Basic. 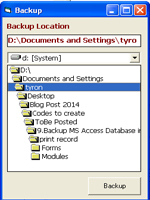 This tutorial will guide us on how to backup ms access database in visual basic. Before we start, let us first review the previous tutorials. 1. We have learned how to connect Visual Basic into MS Access. 2. Then we have inserted record in MS Access. 3. We learned how to update the record in the database. 4. We also learned how delete a record in the database. 5. Next is to populate Listview control from our database. 7. We have learned how to print the records from database. To be able to start with the next tutorial, kindly download the file from the previous tutorial which is How to print records from database. This is the part 7 of our Visual Basic 6 tutorial and this time we’re going to learn how to print a record from database. 1. How to connect Visual Basic into MS Access. 2. How to insert a record in MS Access. 3. How to update the record in the database. 4. How to delete a record in the database. 5. How to populate Listview control from our database. 6. How to search a record from database. Kindly download the previous file from our previous tutorial which is the searching a record from the database. 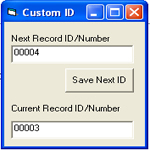 Creating a id number is really not a problem in ms access because ms access has a Data type AutoNumber which will automatically assign a number for your record, but you can also create a custom record id or number that will fit your purpose, and this tutorial will teach us on how to do that. 2. Create a new table and save it as tblCustomID. Welcome to the next tutorial of our Visual Basic programming. 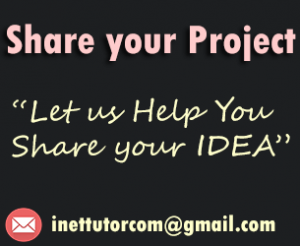 Let us first enumerate the previous tutorials. This is a part 6 of our Visual Basic 6 database programming using MS Access. Our next tutorial will be on searching record from database in Visual Basic 6. 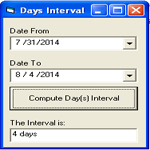 This tutorial will guide us on how to create a simple program that computes the interval of days between two dates in Visual Basic 6. 1. Open your visual basic 6 program and create a new project and select Standard EXE. 2. It so happen that by creating a new project, a form is already been added. We don’t have to add another form, just rename the form into ComputeDaysIntervalFrm. 3. Save the project and the form in the same directory or folder. Hi everyone, welcome to another simple tutorial on visual basic 6. 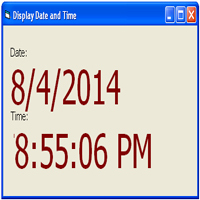 In this tutorial, we are going to learn how to display the current date and time in vb6. This is a very easy tutorial and we don’t need additional components. 1. Kindly open your visual basic 6 program. 2. A dialog box will appear then select Standard Exe and click Open. 3. A new project has been created and a form as well. Rename the form into DateTimeFrm. 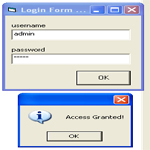 In one of the tutorial here in visual basic, we have learned how to create a simple login system without using a database. This time a database will be incorporated in the login system which means the combination of username and password will be retrieved from the record of the database. Although the two systems are similar but I prefer and I believe most of us would prefer to use a database in a login system. So, what do you think is the advantage of having a database in a login system? A simple question should be responded by a simple answer. A database makes your system or application more dynamic because we can later on add, change and even remove records from database without changing the actual source code of our program. This tutorial will teach us how to add items and remove items from listview control. 2. Add a Form to our project and name it as ListviewFrm. 3. 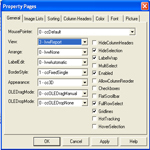 Save the Visual Basic project and the form in the same directory or folder. Welcome to our next tutorial in Visual Basic 6, this time we’re going to learn how to populate Listview control from our database. Let us first define what a ListView control in Visual Basic 6 is. 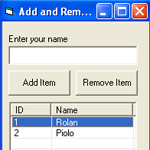 A ListView control in Visual Basic 6 allows you to add rows of data from a database table or you can set it manually by coding. We can organize our data in four different ways: Icon, SmallIcon, List, Report. The further explanation of ListView control will be discussed on a different article.